Highly Inspired is a collaboration with Make & Mary and The Hood Collective. Each mini documentary tells the story of a Portland maker who has a connection to cannabis. The series looks at process and features makers in their creative studio. 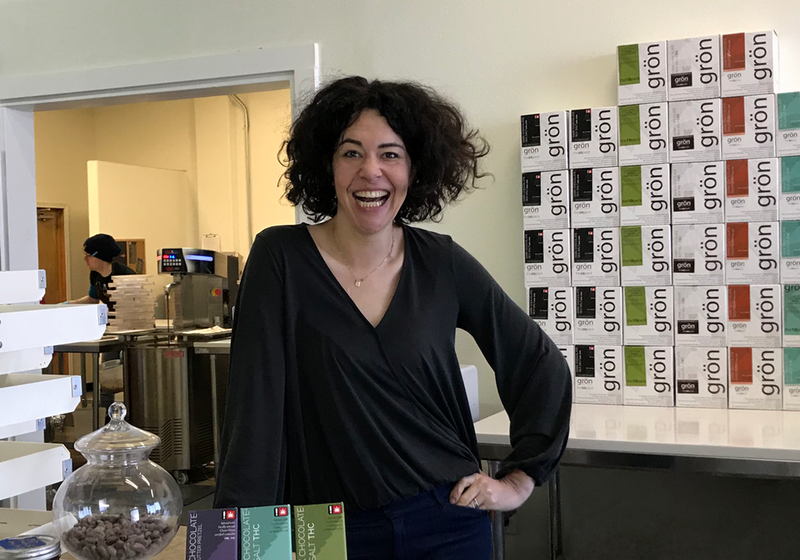 This episode features local architect and Chocolatier Christine Smith of Grön Chocolate. Christine Smith entered the cannabis world with little to no experience in the business. She was an architecture, but she was also passionate about the new industry and set off on a journey that has now exploded into a full time gig, making people smile one piece of chocolate at a time. A former architect of 20 years, Christine left her practice to learn all that she could. Her husband owned a dispensary and it was there that she was first exposed to what was on the market. Coming from a design background she was unsatisfied with the products that were available at the time, so she began tinkering, and playing around with chocolate on the side. She took classes on chocolate making and began experimenting with different mediums for infusions, oils and butters. Eventually her hobby turned into Grön, a clean green certified and award winning business recognized as a leader in the industry. Check out the video below to learn more!